As the world commemorates the 2019 Safer Internet Day, Paradigm Initiative has urged Nigerians to adopt safer internet practices. The pan-African digital rights and inclusion advocacy organisation made this call at a media parley held Monday, February 4, at its office in Lagos. 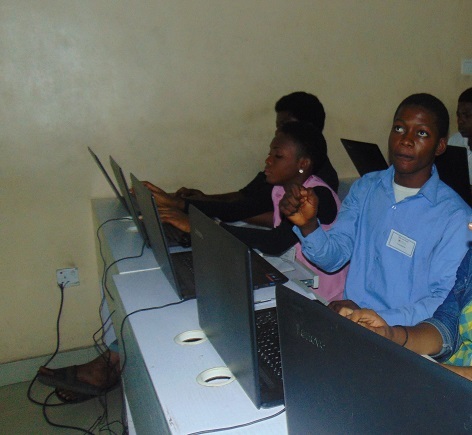 The organisation has embarked on a digital literacy campaign targeted at young people in Abia, Lagos and Kano, the three states where it currently runs training centres dedicated to information and communication technology skills acquisition among underserved youth. The digital literacy campaign includes classes on digital security for youth, media outreach and roadshows. The campaign is aimed at encouraging internet users in the country to make positive use of the Internet. “Our message to youth is to be more discerning in how they consume content on social media and other platforms. That something is online does not make it true. We encourage all users to acquire fact-checking skills so they don’t fall prey to misinformation campaigns and they don’t themselves unwittingly spread misinformation,” Abolaji added.